There are many cases where the driver crashes into the door and is serious injured. We also have cases where bike rider decides to quickly swerve to avoid being crashing into the car door, but this causes them to be thrown into traffic where they are serious injured or killed. 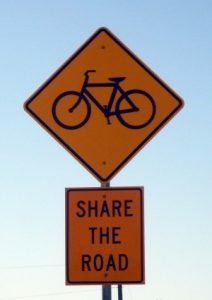 When you get hit by a car while on a bicycle, you have virtually no protection.While you may be wearing a helmet (as you always should), that helmet is designed to protect your head should you hit the sidewalk or other hard object at a reasonable speed. If you are hit in the head by a car at high rate of speed, you may be seriously injured or killed even if you were wearing a helmet. As our Boston bicycle injury lawyers can explain, it is the driver or passenger’s responsible to make sure there is nothing coming before opening a door. When a driver or passenger careless opens a door and its causes injury to a bike rider, this is known as dooring case. It is not the bike rider’s even though he or she ran into the door. The negligent party is the one who opened the door. A recent news article from Mass Live discusses the “Dutch Reach” how it can help to prevent dooring accidents in Boston and other towns in Massachusetts. The term comes from the fact that this technique to preventing dooring accidents was developed in Holland. There is a much larger percentage of the population that rides bikes and commutes on bikes on Holland than there are in American even with the recent increase in ridership in the U.S. For a variety of reasons, the Dutch love to ride bikes and it in turn led to a high frequency of bicycle accidents. One major cause of bike accidents there as it is in Boston is dooring. To Prevent this, they created the Dutch Reach. Normally, when a person opens their car door (in the U.S with left side drive), the driver will operate the latch with his or her left hand and push the door open. You can swing the door fully open without even looking and that’s the problem. The Dutch Reach has the driver open the door with his or her right hand. This requires you turn at the waste and physically be looking to the side and behind the car. This will likely cause the driver to see a bike rider. It will also limit the swing of door as it is harder to fully extend your arm in this position.